Home Scams Sweltering Shahjahanpur in UP Has Just Bought A Snow-Clearing Machine! 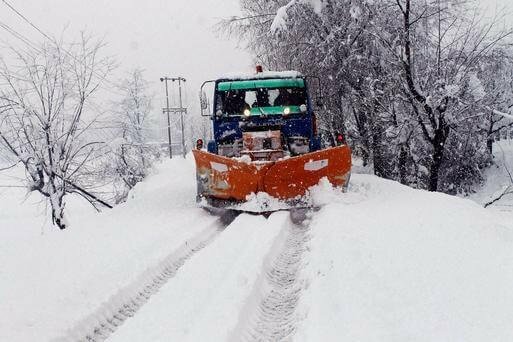 In an absurd weather prediction of snowfall in a sweltering state, UP district Shahjahanpur’s civic body has purchased a JCB snow plow for a whopping sum that is anywhere between Rs 17 and 23 lakh for each of them as reported by Times of India. The bulldozer-type machine JCB, which is used to clear snow and ice on roads in various foreign countries of Europe,USA and cold states like J&K, has been kept in one of the garages of Shahjahanpur nagar palika. As strange it might seem, the Civic officials are standing by their decision to acquire the snowplough citing their preparation if Snow falls in the near or far future. “We don’t find it necessary to give out a reason for every purchase. We found this machine quite important for our city and we bought it. If someone has any problem, he can speak with the chairman because the demand came from him,” as said by an Nagar Palika representative.